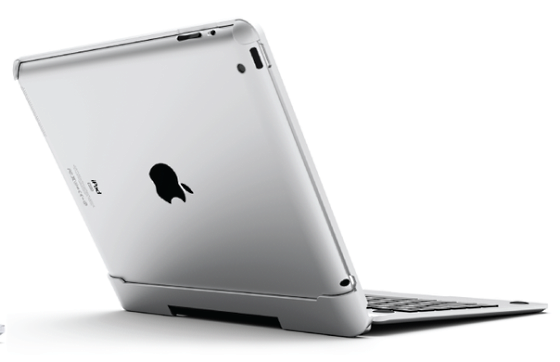 Currently on KickStarter is an iPad keyboard dock that goes out of its way to look like Apple's aluminium-clad notebooks. Complete with the same black chiclet-keys, sandblasted aluminium finish and absurdly sharp edges as today's Macbooks, the CruxSkunk offers iPad users the basic Macbook features without the high price tag. It also offers a way to coexist with all of the Windows 8-powered tablet hybrids that are preparing to storm the market without feeling overly left out. The CruxSkunk keyboard runs off a built-in 350mAh battery, apparently good for a month's worth of typing, and connects to the iPad using a wireless Bluetooth connection. 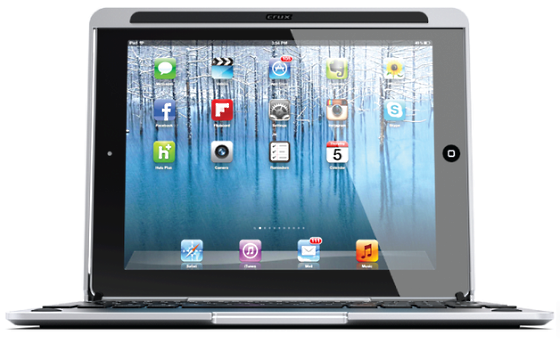 The iPad itself slots into the top of the CruxSkunk and acts as the screen. 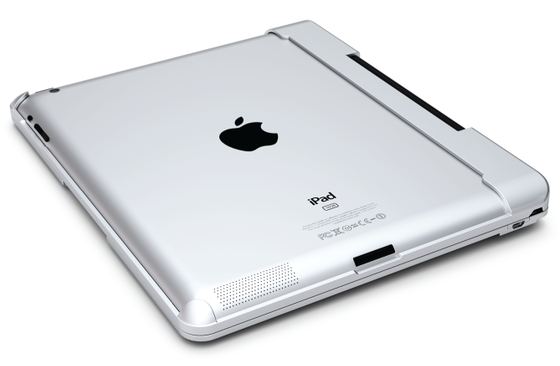 A 360-degree hinge allows for much flexibility, including the ability to rest the iPad side back-to-back with the keyboard, not unlike that of Lenovo's Yoga. 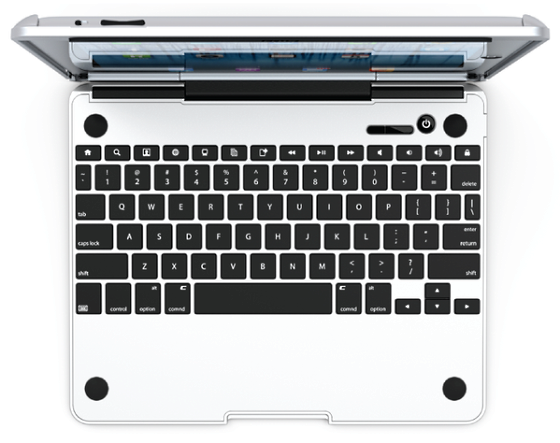 The keyboard itself populates the function-key row above the numbers with more useful functions, such as volume controls and a screen lock key, while rubber pads prevent the iPad bezel or screen from scratching against the aluminium surface of the case, at the expense of looking less like a Macbook. As a whole, with iPad attached and folded like a laptop, the CruxSkunk measures only 19mm thick, with the base only contributing 6mm of that figure. 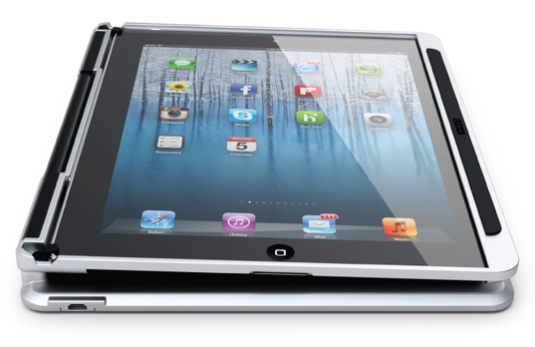 Meanwhile, CruxCase boasts compatibility with both iPad 2's and 3rd-gen iPads. UPDATE: The Cruxcase is on the market and now available for purchase here and other online retailers. that you I want, Help!, That someone should I portray MP3?